Copies of TAILS Linux for Upcoming NSA Event! On Saturday, February 1st, Senator Sanders will be facilitating a public forum in Montpelier entitled “NSA: Out of Control.” It will feature Professor David Cole from Georgetown Law School , and Heidi Boghosian, the Executive Director of the National Lawyers Guild, and, as of the time writing, almost 100 people have RSVPed to the Facebook event. The event certainly seems like it will be a good opportunity to learn more about the NSA privacy abuses that have flooded the media in the wake of Edward Snowden’s revelations, but, beyond that, it offers an ideal opportunity to widely distribute user-friendly privacy tools that allow people to opt-out of the NSA drag-net immediately while Congress figures out how to appropriately respond to the revelations of abuse. 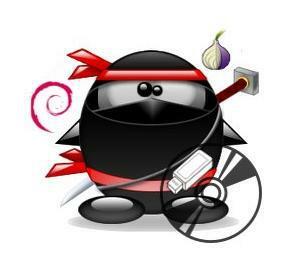 The best suite I’ve found which is easily usable by folks with limited computer literacy is TAILS Linux, a live OS based on Debian that, among numerous other features, is preconfigured to route all internet connections through TOR. Additionally, I’ll be working on burning and assembling copies at the Lab during public hours on Thursday from 7-9pm; if you want to help with production or with distribution at the event itself, stop in! Author Matt CroppPosted on January 26, 2014 January 26, 2014 Categories Bitcoin, cryptography, cyberwar, NSALeave a comment on Copies of TAILS Linux for Upcoming NSA Event!